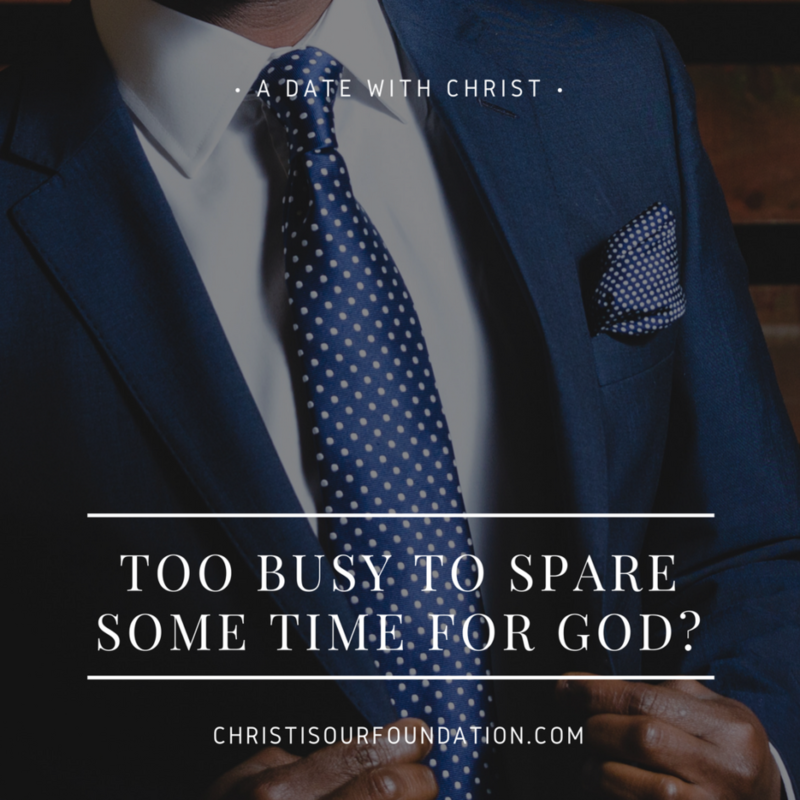 Too busy to spare some time for GOD? A conversation between the Soul and the Human being. Soul: Hey C’mon! Wake up, man! I am starving, we need to spend time with GOD. I need to talk to him. Wake up! Man: Yeah yeah! Let me just get ready and then we will spend time with GOD. Soul: You say that always but you keep forgetting. Man: This time I promise, I’ll keep my word. Soul: Sigh! Ok as you wish, I’ll wait. Soul: Hey you are ready, let’s spend some time in prayer. Man: You know what, we are late for the bus, let’s pray while we travel. We will have enough time. The man takes out his mobile, he gets a few whats app notification, scrolls down through it. Then he opens facebook, times flies before he realizes he is about to reach the office. Soul: You didn’t spend time even on the bus. When are you going to feed me? When are we gonna spend time with God? Man: Takes a look at his watch, let’s do one thing, we will pray during the lunch break. Soul: The day is about to get over, you haven’t fed me the whole day. Man: I am so tired now, we will start it tomorrow afresh. It happened like this every day. Tomorow never came, in the end, the soul was starved, it never got what it needed. On the judgment day, the soul was sent to the eternal hell. How many of us can relate to this conversation? Are we really spending quality time with GOD? Have we become so busy to spend time with God? Let’s think about it.